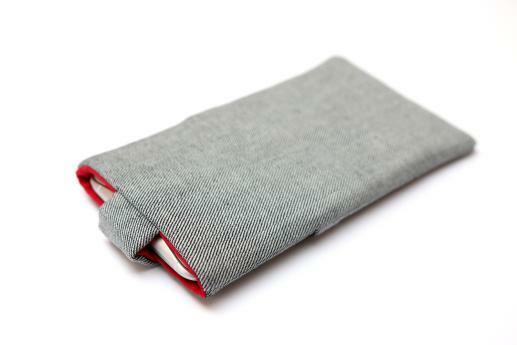 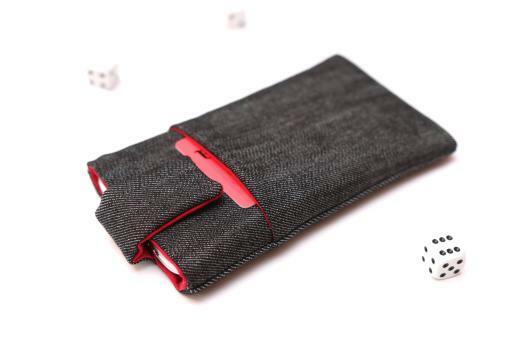 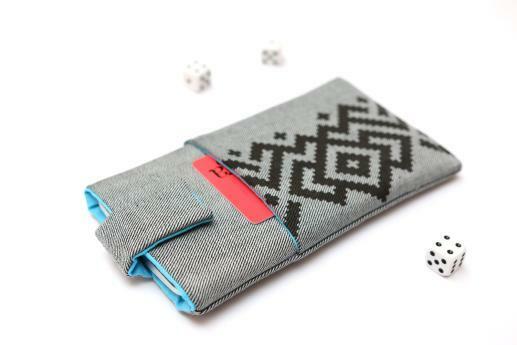 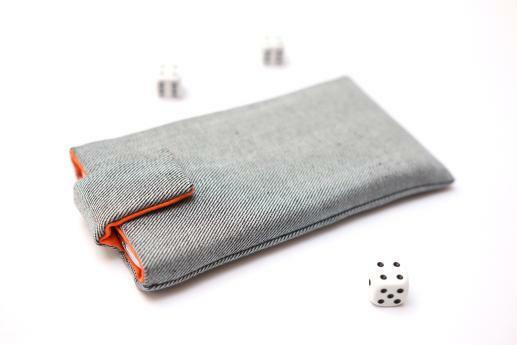 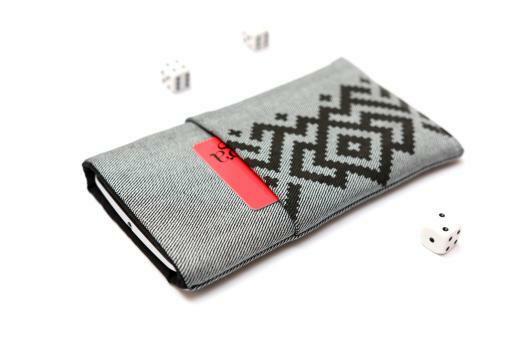 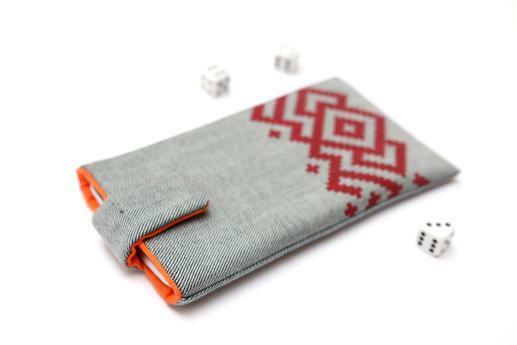 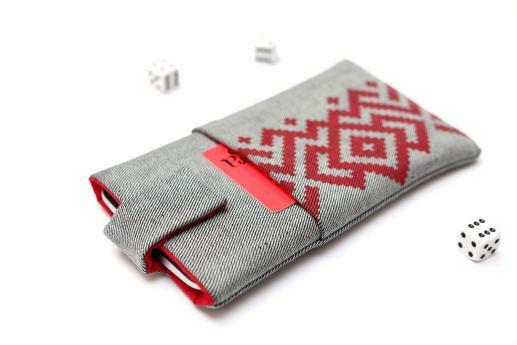 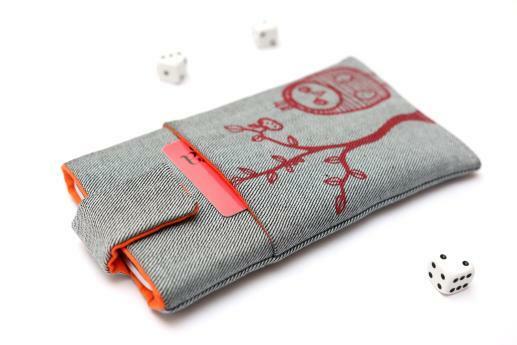 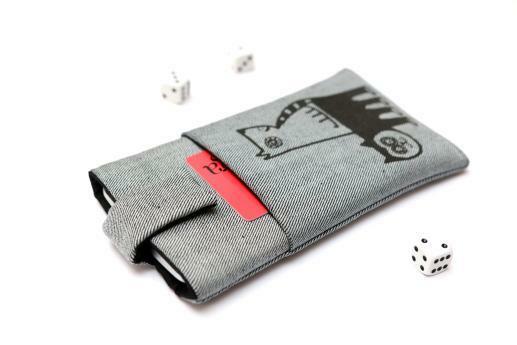 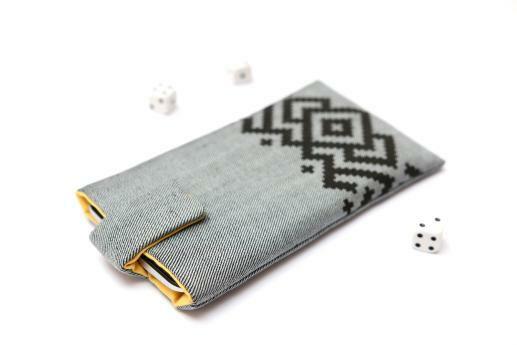 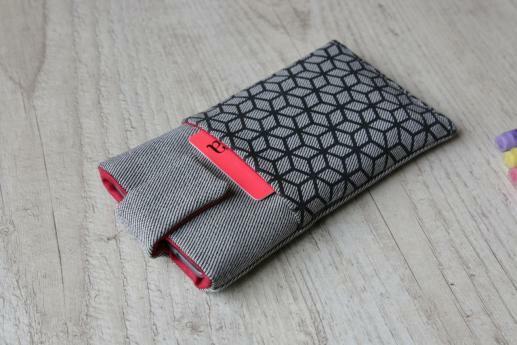 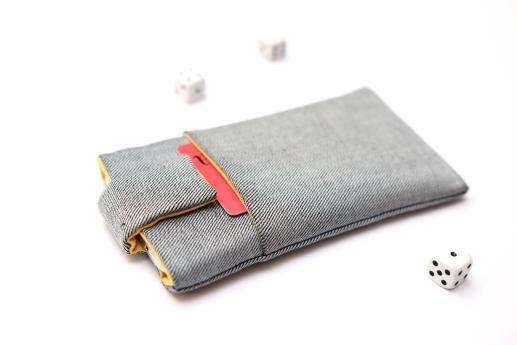 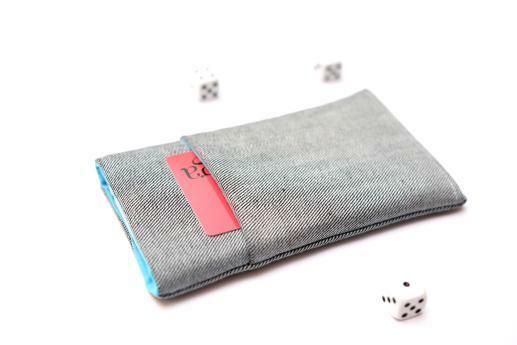 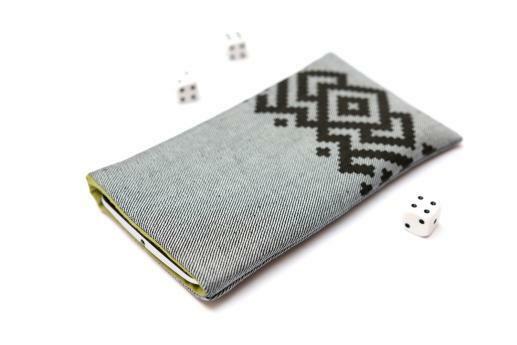 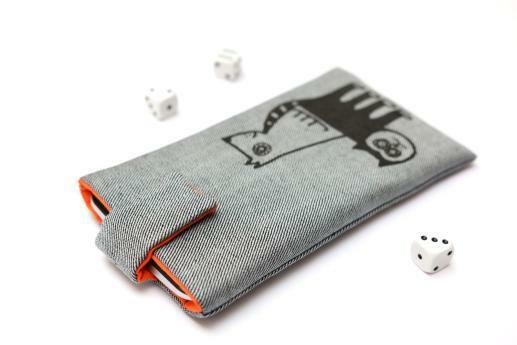 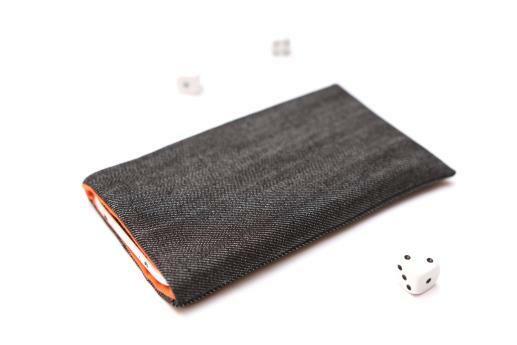 Xiaomi Mi 4 handmade sleeve will protect your phone from scratchings and dust. 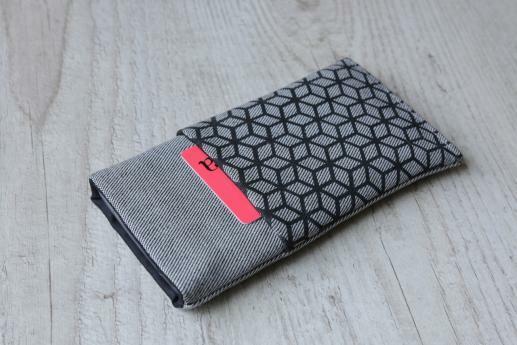 This case will keep your device safe and portable. 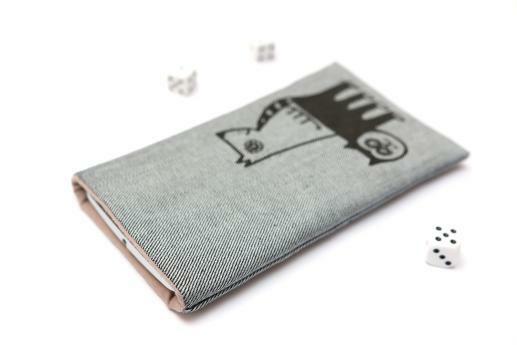 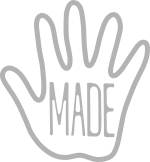 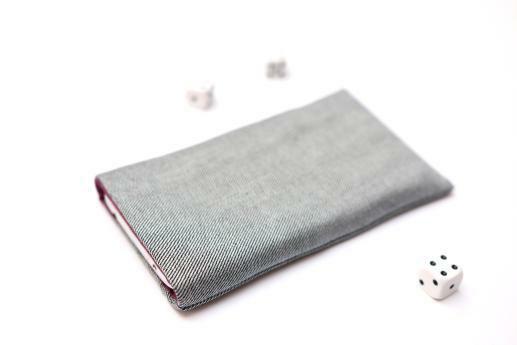 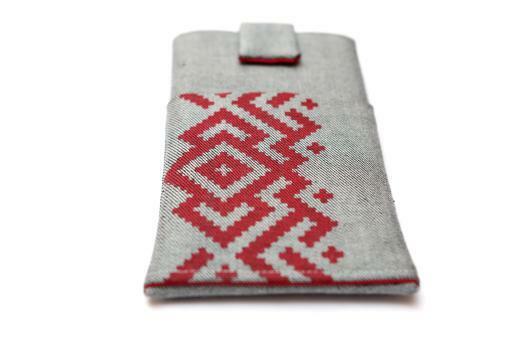 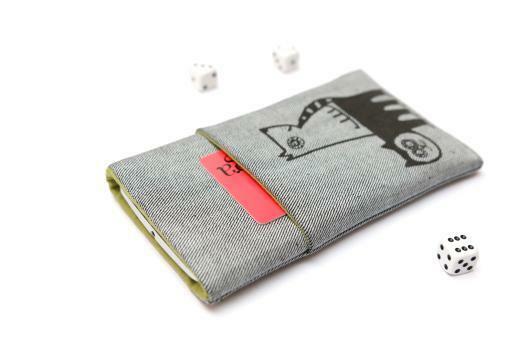 The handmade case is really practical and simple to use with minimalist and elegant design. 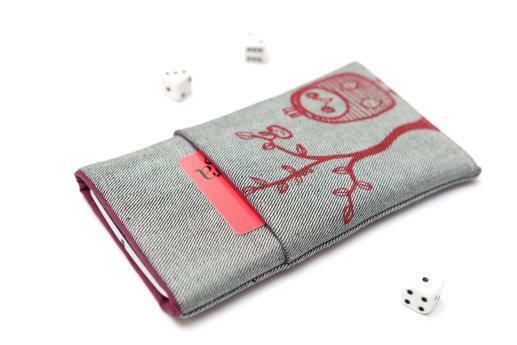 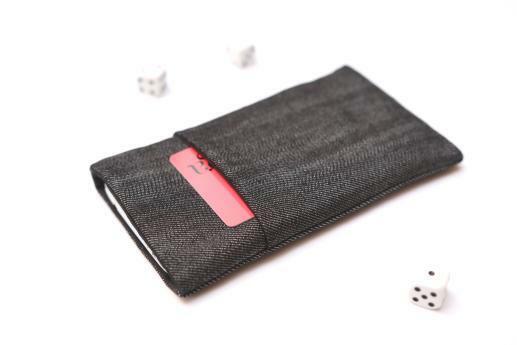 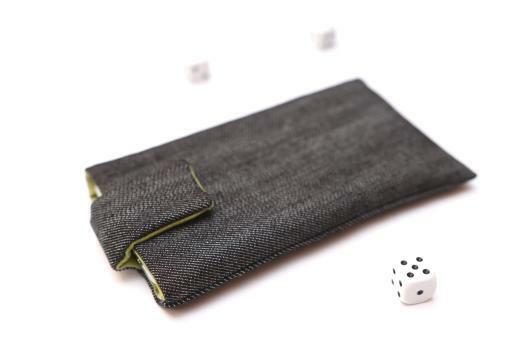 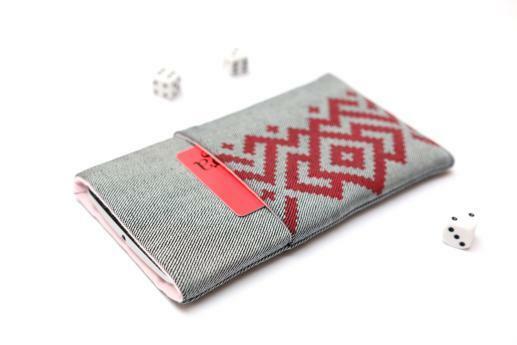 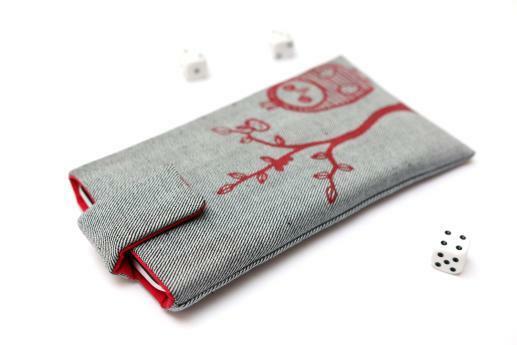 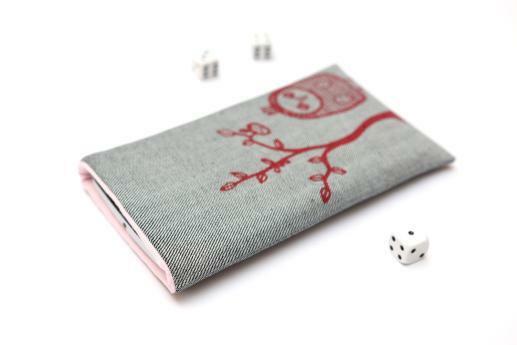 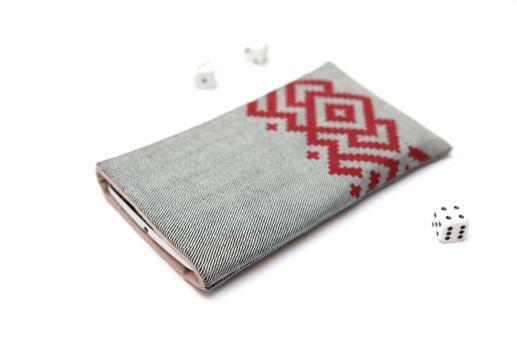 Case is made of light denim fabric with cotton fabric inside, padded with a layer of fleece and with magnetic closure on top and pocket in the front with red ornament pattern drawing designed and printed by Begoos.